Only a few weeks ago, the ITU Council 2013 had a long debate over whether it was appropriate to open the Council Working Group on international Internet-related public policy issues (CWG-Internet) to non-government stakeholders. 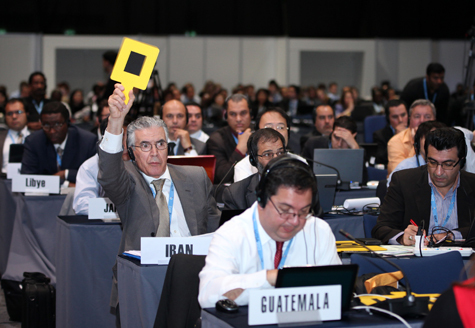 The conclusion of that debate was they would have to wait until ITU Plenipotentiary 2014 in Busan, 20 October – 7 November 2014, to discuss any potential changes to the Guadalajara version of Resolution 102, which started the CWG. In the meantime, however, the first ever open online consultation conducted by the CWG-Internet is about to close on 1 August 2013. Issue 1: Consultation on effectively countering and combatting spam. The Council Working Group on International Internet-Related Public Policy Issues invites all stakeholders to provide input on international public policy issues related to effectively countering and combatting spam. Issue 2: Consultation on international public policy issues concerning IPv4 addresses. The Council Working Group on International Internet-Related Public Policy Issues invites all stakeholders to provide input on international public policy issues related to (a) unused legacy IPv4 addresses, and (b) inter-region transfers of IPv4 addresses. Issue 3: Consultation on developmental aspects of the Internet. The Council Working Group on International Internet-Related Public Policy Issues invites all stakeholders to provide input on international public policy issues related to developmental aspects of the Internet. Given the interest so many non-government stakeholders had in the World Conference on International Telecommunications (WCIT) and the Fifth World Telecommunication/ICT Policy Forum (WTPF-13), you’d probably expect the CWG-Internet consultation to be inundated with responses, yes? Well, actually, in reality, the answer is “no”. Since the open consultation opened in February this year, it has received exactly four responses. And not a single one of those four responses are from any of the Internet-related organizations that have pushed so hard to be able to participate in ITU’s Internet-related activities. It’s a little perplexing. Why the lack of response to CWG-Internet’s Online Consultation? The information about the online consultation topics is very vague. Probably the worst offender here is Issue 3, which asks for input on international public policy issues related to “developmental aspects of the Internet.” With a topic is so broad, people don’t have a clue how to begin framing a response to it. There are so many Internet governance related processes underway, that organizations are losing the capacity to respond to all of the processes. In the first half of this year, we’ve had UNESCO’s WSIS+10 review, ITU’s WTPF (plus its final Informal Experts Group meeting in February), the WSIS Forum, the formation of the CSTD Working Group on Enhanced Cooperation (WGEC), two IGF preparatory meetings, an ICANN meeting, Regional Internet Registry meetings, and much, much more. The ever-expanding Internet governance calendar is growing at such a rate that it’s not just developing country stakeholders that have trouble following it all. Even the best-resourced stakeholders are having difficulties fitting in all these consultations with their actual day-to-day work. Despite the very understandable reasons stakeholders haven’t responded to the CWG-Internet consultation, it’s vital that we do have a decent response rate to the consultation. If we don’t respond, then it gives the governments who have a “let’s keep the CWG-Internet closed” stance a fantastic argument for keeping the status quo. After all, if the community shows no interest in interacting with the CWG-Internet even when the CWG-Internet has asked for submissions, what could possibly be achieved by opening up the CWG’s meetings? Instead, we need to help bolster the case for opening the CWG-Internet by showing that non-government stakeholders do have something very important to contribute to the governments’ work on international public policy issues related to the Internet. By providing submissions to the online consultation, we can support the ongoing efforts of governments who have been trying to open the CWG-Internet. Thank the CWG-Internet for seeking input from the larger community. Your organization understands that the members of the CWG-Internet are discussing a very wide range of international public policy issues related to the Internet. As it’s unreasonable to expect that government representatives in the CWG-Internet are experts in all areas under discussion, your organization welcomes the CWG-Internet’s recognition that it needs the input of subject matter experts in specific Internet-related fields. Explain what your organization is and why it can help the CWG-Internet with its work. Don’t overdo the introduction to your organization, but do explain why you have expertise or interest in one or all of the three issues CWG-Internet is seeking input on. Do give links to, or append, any documents you have produced on the issues CWG-Internet is interested in. Note that, unfortunately, it’s not possible to give specific advice to the CWG-Internet given the overly broad parameters of the consultation, but welcome the opportunity to respond to more specific questions from the CWG-Internet. 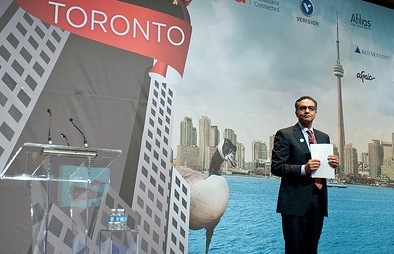 Including this will help pro-“open the CWG” governments argue for the need to make CWG-Internet’s documents available to non-government members, even if we can’t get the CWG-Internet meetings opened. By offering to answer any specific questions the CWG-Internet has on the issues they have sent to open consultation, we can hopefully get a more meaningful and informed dialogue happening between governments in the CWG-Internet and the wider ecosystem of Internet governance stakeholders. Provide links to forums that are already discussing the issues CWG-Internet is interested in, and encourage them to engage with those forums. In the interests of “enhanced cooperation”, take the time to direct governments to organizations and forums that are already discussing the issues that are the subject of the online consultation. If there’s a page associated with the forum that explains how to participate, include a link to that, too. Thank the CWG-Internet again, and tell them you look forward to engaging with them in future to assist in their deliberations. If you’re feeling really bold, you may want to encourage the CWG-Internet to consider more direct interaction with your organization and other non-government stakeholders in future, via more open CWG-Internet modalities. 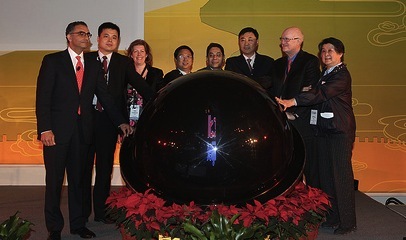 After the divisive discussions about the ITU’s role in Internet issues at WCIT in December 2012, the harmony that appeared to reign at WTPF-13 in May this year signaled hope for better relations between governments and other stakeholders in future Internet governance discussions. 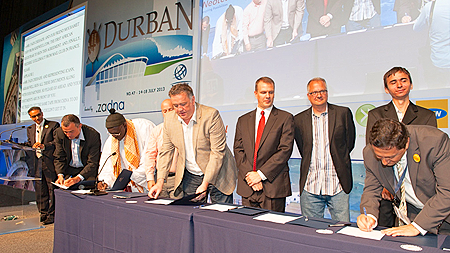 The ITU Council 2013, however, held 11-21 June 2013, showed that there are still many speed bumps in the road ahead. The issue was discussed on four separate occasions during the two-week council meeting: 13 June, 14 June, 19 June, and 20 June. There were five formal proposals related to the Council Working Group on international Internet-related public policy issues (CWG-Internet) and the Chair of Council 2013 proposed two ways forward. Ultimately, the decision on the CWG-Internet by the ITU Council 2013 was not to make a decision. 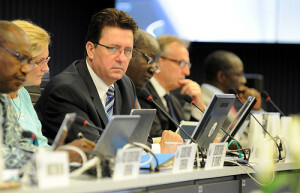 Instead, Member States informally accepted that the Secretary-General could, in his work to support ITU activities, energize the public consultations that the ITU Council 2012 agreed to adopt in Resolution 1344. How the Secretariat-General will achieve this is not clear. However, it does seem very probable that the informal mechanism proposed by the Chair of Council 2013—that the Secretariat-General convene a meeting of an Informal Experts Group on the day prior to CWG-Internet meetings—will not be implemented. This is because Resolution 1344 requires a full month’s gap between when the public consultation period ends and when the CWG-Internet meets. Please note that there was no resolution or decision related to this. Instead, there was simply informal acknowledgement that the Secretary-General will do something to encourage non-government stakeholder involvement in the existing open consultation process. When is the next opportunity to open the CWG-Internet? We now have to wait until the next ITU Plenipotentiary Conference (PP-14), 20 October-7 November 2014, for Member States to consider whether or not to open the Council Working Group on international Internet-related public policy issues (CWG-Internet) to non-government stakeholders. What can non-government stakeholders do in the meantime? Ask your government to allow you to be part of its delegation to CWG-Internet meetings. This is in keeping with the Secretary-General’s statement on a multiple occasions that multistakeholderism can occur in ITU through multistakeholder composition of Member State delegations. Ask your government to share the CWG-Internet documents with you. If you’re particularly public-spirited, be one of the lovely souls who sends them to WCITleaks so others can read them, too. Respond to the CWG-Internet online consultations. As of the time of writing this blog, only four responses have been received to the public consultation first announced in January. That’s less than one submission per month. Closing date for submissions is 1 August 2013. Respond, people!